The Detective Bureau strives to assist crime victims with restoring a feeling of safety and normalcy to their lives. 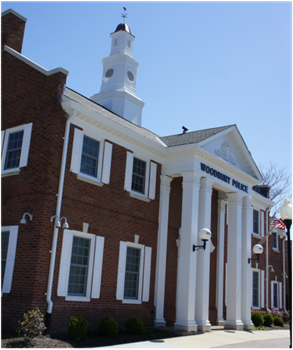 Woodbury Police Detectives use modern technology, as well as old-fashioned persistence and tenacity, to process evidence, solve crimes, recover property, and arrest offenders. Together they work as a team, to seek the facts, preserve the evidence, and build a comprehensive case for court presentation. In the end, the efforts of our detectives are focused on providing exemplary customer service to our citizens and visitors. 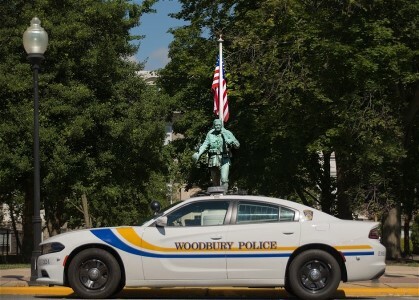 The Woodbury Police Department has initiated a TipLine so that citizen's have a means of communicating information to our department. Sgt. Lokaj began his career with the Woodbury City Police Department in 2004 as a Cadet. He worked as a Cadet from 2004-2007. During that time he also attended Gloucester County College full time where he was able to obtain his Associates Degree in Criminal Justice. In May of 2007 he was hired by the Sea Isle City Police Department as a SLEO II Officer. He attended to Cape May County Police Academy and graduated in July of 2007. He then spent three months working in Sea Isle City as part of the Quality of Life Unit, specifically focusing on problem areas in the City. In October of 2007, Sgt. Lokaj returned to Woodbury City as a SLEO II Officer. He remained in that capacity until January of 2009 when he was hired as a full time patrol Officer with Woodbury City. He continued his career as a Patrol Officer until October of 2013 when he was moved to the Detective Bureau. In the Detective Bureau some if his assignments included narcotics investigations, criminal case investigations and maintaining and monitoring liquor licenses. In December of 2015 he was promoted to Sergeant and returned to the road as a patrol Sergeant supervising a squad. In December of 2016 he was moved back into the Detective Bureau as a Detective Sergeant which is where he currently remains. Det. Boucher is currently assigned to the Detective Bureau where he has been assigned since January 2016. Responsible for investigating crimes such as burglaries, homicides, assaults, and other incidents to find and implicate perpetrators. These investigations sometimes include collecting evidence, conducting interviews with suspects, victims and witnesses, and testifying in court. Det. Boucher also handles intelligence, accreditation, and IT systems within the department. Det. Boucher started his Law Enforcement Career as a Class II Special Officer in Sea Isle City, NJ in May 2008. Det. Boucher was then hired by the Woodbury City Police Department as a Class II Special Police Officer in October 2008. Det. Boucher was then hired as a full-time Police Officer in August of 2009. Det. Boucher was assigned as the School Resource Officer in April 2014. Detective Phillips began his Law Enforcement Career in 2008. He graduated the Cape May County Police Academy in June of 2008 and was employed as a SLEO Class II with the North Wildwood Police Department during the summers of 2008 and 2009. Detective Phillips was hired by the Woodbury City Police Department as a SLEO Class II in October of 2009. He earned a Bachelor of Arts degree in 2010 from Rutgers University. Phillips was promoted to a Full Time Patrolman in 2013. He was then assigned to the Department’s Community Policing Unit in the fall of 2013. Phillips was also assigned to the Department’s Traffic Safety Unit in April of 2014. Phillips was assigned to be one of the Department’s Field Training Officers (FTO) in November of 2015. In April of 2016, Phillips was assigned to the Department’s PACE Unit. Phillips was promoted to the rank of Detective in November of 2016, and is currently assigned to the Detective Bureau. Detective Phillips currently serves as one of the Department’s Motor Vehicle Crash Investigators, Terminal Agency Coordinator (TAC), Local Area Security Officer (LASO), and Domestic Violence Liaison Officer.